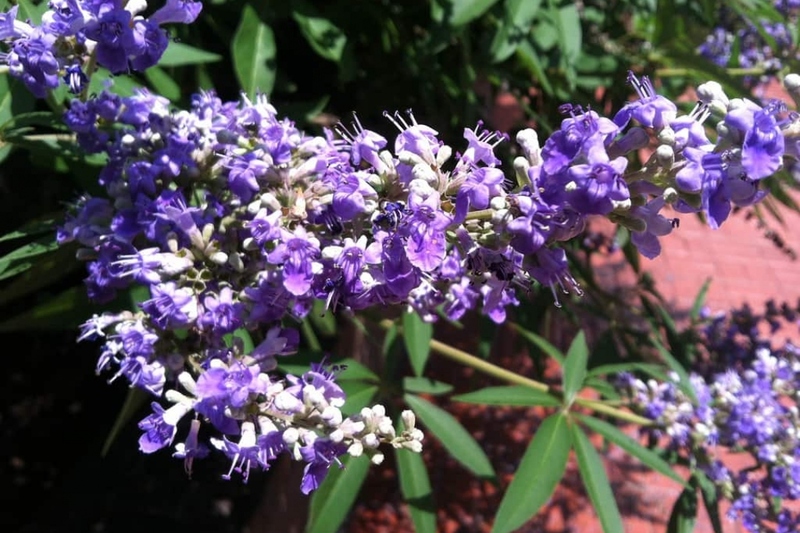 Vitex (Vitex agnus castus): growing, planting, caring. This cousin of verbena is a shrub with beautiful spikes of blue flowers and leaves that will smell like pepper once crushed in your hands. Try it ! Vitex agnus-castus, known as vitex, chaste tree or monk's pepper, is a shrub native of the Mediterranean region, bearing blue to white flowers in the summer. Grows easily in any soil, provided it is well drained, and preferably in the sun. Plant from late autumn to early spring, in the sun, in any type of soil, preferably not too rich and well drained. Begin by digging a hole twice as large as the root ball, without mixing the soil layers - you will put them back in order. If the soil is very heavy, place a layer of gravel at the bottom of the hole. Put some of the earth back. Arrange the mound so as not to bury the base of the stems. Replace the rest of the soil. Tamp the soil well around the roots, form a hollow and water until the water no longer flows visibly. Only water the first weeks of the installation, or if your chaste tree is in pots. In both cases, wait until the soil dries a few centimeters before watering. In October you can harvest the matured seeds. In March, every year, prune all the branches, just flush with the ground; this operation is called coppicing, it forces the plant to re-emit stems from its roots. If you notice that your shrub is weakened by competition from taller plants, trim it every other year.